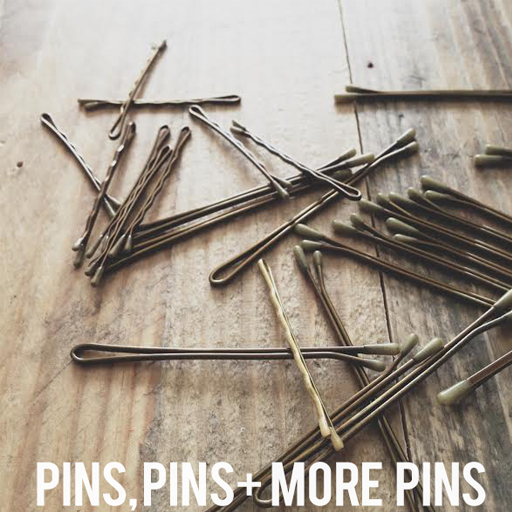 ONE: I’m not telling you anything you don’t know when I say go out and get lots of bobby pins when you start growing out your bangs, but a very important thing you should know is that not all bobby pins are good enough. You should test them to make sure they’re really strong. My favorite ones come from the beauty supply. They usually carry the heavy duty pins and those will stay put . TWO: Get a supplement like Viviscal to boost growth. You can either wait for them to grow at their own pace or better yet, give them a little rapid encouragement with a hair supplement. THREE: Ask your stylist to use thinning shears (not scissors) to take weight out of your bangs. They can look bulky and haphazard if they’re not properly thinned out as they grow. When my clients say they’re ready to grow their bangs and start pushing them to the side, I use thinning shears to take the weight out both right where they part and the sides where it can get super bulky. Once you do that, it makes it much easier to part and push them. FOUR: Become familiar with bang friendly updos. 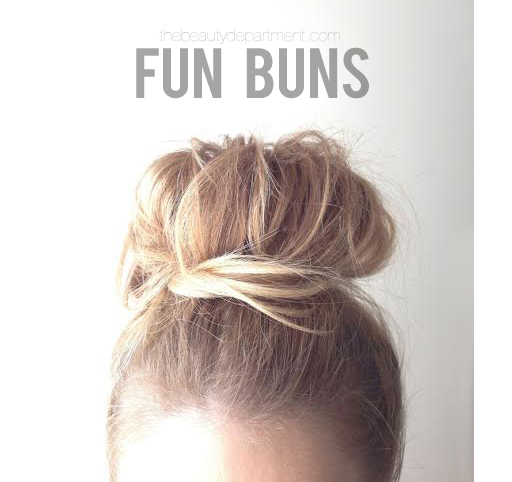 Our fun bun is one of my favorites for girls growing their bangs because you can do the fun bun and then push the bangs back into it and bobby pin them. It’s supposed to be messy and fun so there’s not much bang-hiding skill required. Styles with a twist or braid in front work wonders as well. FIVE: Embrace the vibe of your current bangs. I love when I see someone grow out their bangs and getting all “Bardot” about it. 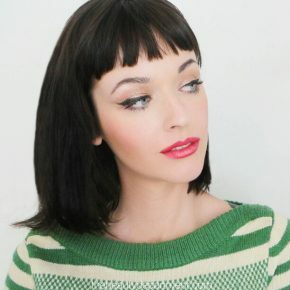 As they get near the top of your cheekbone, add a little flick to them, put it half back and embrace that 60’s bombshell. 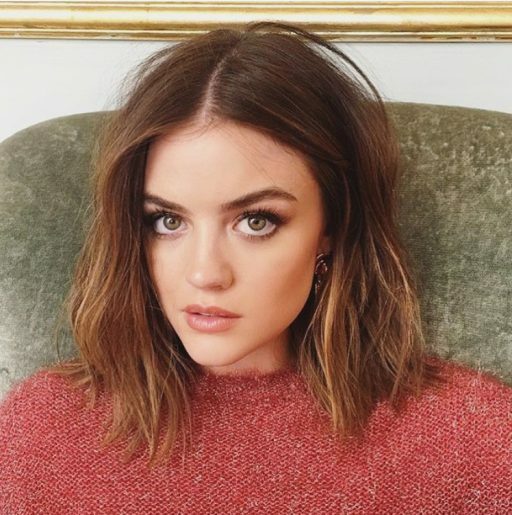 When they get near your jaw line, create some 70’s boho waves. Enjoy them while you have them! 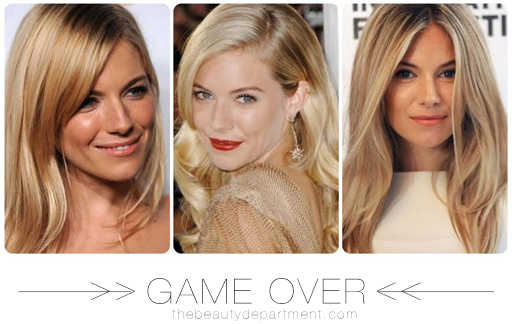 Nothing is more fun than seeing your ponytails, buns and soft waves all looking EXTRA cute with fresh cut bangs. Then let’s say you get bored with them and want to grow them out. Realistically you don’t want them to be super high maintenance every day, so find ways to wear bangs casually. This is where headbands and bobby pins come in. 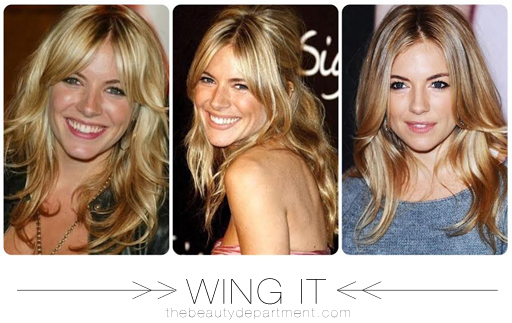 As they grow out and your stylist begins to thin them out, embrace the wing! 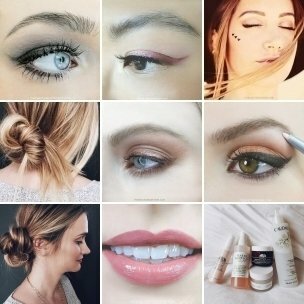 Add a little wave and little product, push them to the side and give it that piece-y, shiny, Sienna vibe! Get inspired and do it up! (Or go to a blow dry bar and let them do it up for you!) 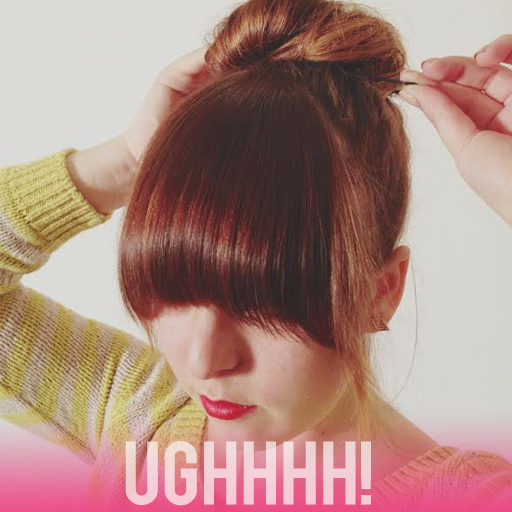 Believe it or not there are beautiful ways to wear your hair while growing out your bangs. If she can make it to the end, you can make it to the end, too! Don’t give up and cut your bangs out of frustration. 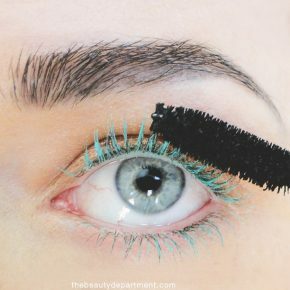 Find some photos and pin them for inspiration!